Base on my experience, the Blogger Stats is a very good and real-time stats service that's fully integrated with Blogger platform. Blogger automatically records all visits on your blog even your own pageviews. You don't need to do anything to enable it for your blog, but if you are concern about who and how many pageviews your blog has daily, you can disable your own pageviews in your own blog for you to trace the exact visitors pageviews. This is for you to measure exactly the kind of pageviews that you need if you are into online marketing and measuring the organic traffic from search engines. With this, you can strategize well with your income generating strategy because you know exactly the status and standing of your blog when it comes to organic visits. Organic visits and unique visitors are important in terms of SEO. Therefore, if you are into this business, you should filter only the visits done by others and not yours because it is given that you will visit your blog daily because of maintenance. You can tell Blogger not to include your own pageviews in its stats simply by following the simple steps below. And I am sure you will follow these steps easily. 2. Go to Stats --> Overview of your blog. 4. Save you settings and its done. 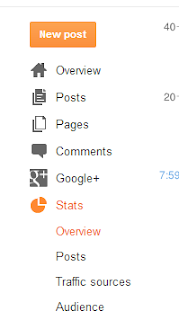 Now blogger will not count your visits for stats of your blog. 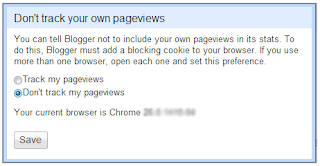 Note : This steps must be done on every browser you are using (Chrome, Firefox, IE) in order to stop tracking your blog own page-views because blogger is installing cookie blocker in every browsers for this will work. If you do clean your browsers cookies this setting will be re-enabled again, so just repeat the process if you still want to stop tracking your own page-views every time you clean your browsers cookies. I hope this tip would help you in getting rid of your views from your blog. However, you can also try Google Analytics for tracking because it is the most accurate tracking service. 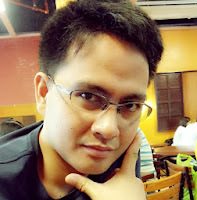 i am just starting how to blog. still haven't decided yet how it is gonna be. as of the moment it is just like a journal. my problem is that the free template i used has a slider. and the slider is not updated to my posts. can you provide help on that? I have contacted the author of the template and even send email to other tech blog for answers and help but i got no reply. Hope you can provide help on that and I will appreciate it very much. but it still counts my page views even after I disabled the facility. Could you please tell me any solution for that? take note that if you clean your browser cookies the counting will continue again, make sure to do this steps every time you do cleaning your browser.